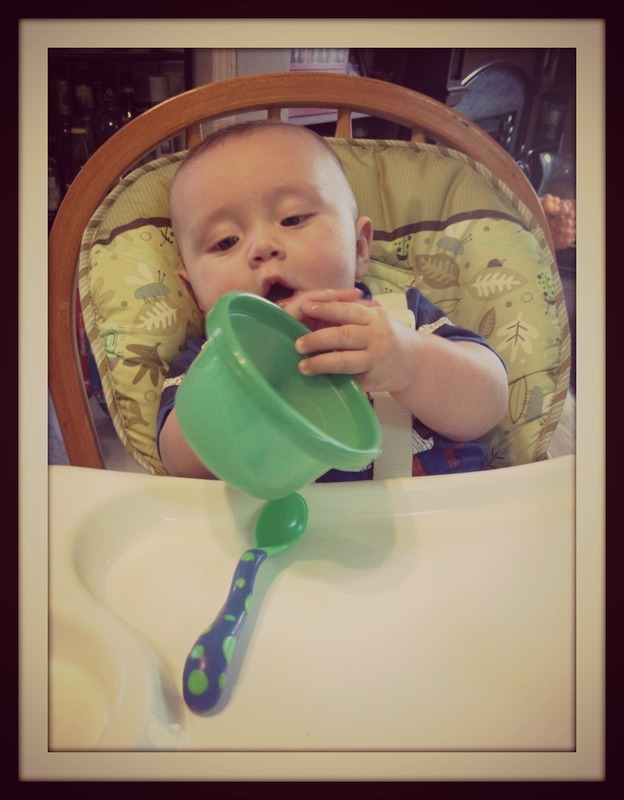 I wasn’t ready to start giving Emmett solids…but Emmett was ready to start solids! We started feeding Emmett purees at around 4.5 months. Yeah, yeah, early I know. Most people also don’t have a 4 month old the size of a 12 month old! 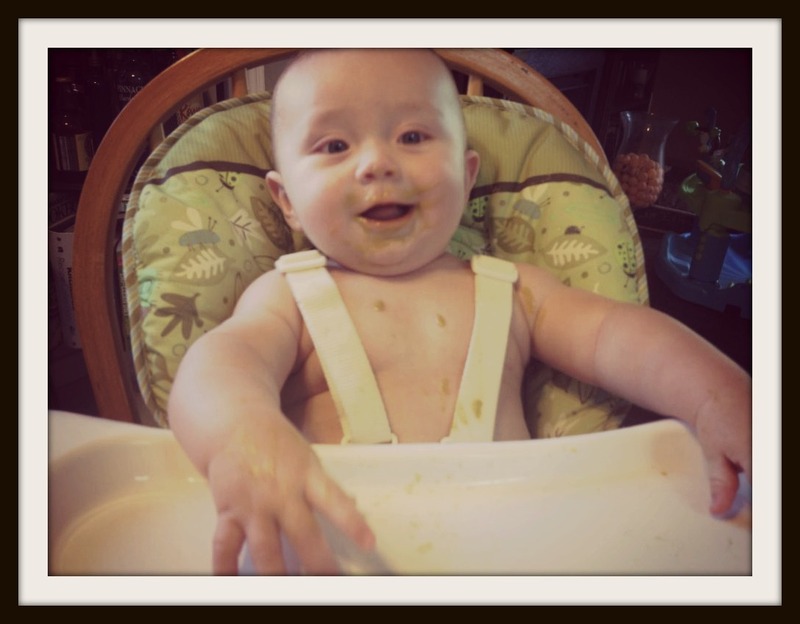 Emmett was displaying the telltale signs of being ready for solids. He had doubled (more than!) his birth weight. He could sit unassisted. You couldn’t eat or drink near the child without him being all up in your business!! The first time we gave him sweet potatoes (we skipped cereals and went straight to first foods) he opened wide and wanted more. He still used his tongue to push some food out but very, very little. I wanted to try Baby Led Weaning (BLW) but I wasn’t sure if I could handle watching him struggle with the choking at such a young age. Since we started solids a bit earlier I knew I really, REALLY couldn’t handle it! We decided to go the puree route. That may change when he starts meats, something about a pureed chicken breast that initiates the gag reflex…if I can’t eat it then he shouldn’t have to either! Craig and I, okay well I, made the decision that we would skip cereals for now. After researching commercially prepared white rice cereals I decided that there was just no nutrition benefit to giving it to him. I also found enough positive information about using Stage 1 or Starter Solids as a first food. So led us down our sweet potato adventure! Since then we have tried: acorn squash, avocado, apples, bananas, carrots, peas, pears, mango, green beans and cantaloupe! It is so much fun watching his face each time he tries something new! He spit peas in my face many times but after about the fourth time finally enjoyed them! The only food he turns his nose up at is cantaloupe – funny, Mommy doesn’t like it either! Took awhile but now I like peas! The only negative to solids? With solids comes more solid, yet still squishy poop….yup. Little man is so cute!